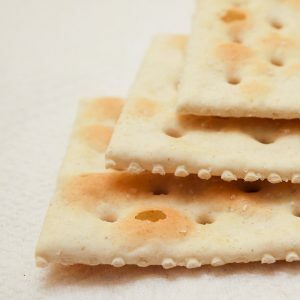 What if your hors-d’oeuvre for the holiday starts with a Saltine cracker? Take your cracker, add a slick of store-bought olive tapenade, top it with a poached shrimp and a few crumbles of Feta cheese. It’s the simplest Mediterranean appetizer on the planet. Delicious, too.